Spoonfeeds' Kate Sweeney and I had never been to Spoonful Records, so we decided to check it out one warm evening in March of this year. We found the store just off the corner of 3rd Street and East Long in downtown Columbus. Warm light and and soft music us as we stepped inside. We were immediately greeted by the friendly smile of shop owner Brett Ruland, and immediately started chatting about it’s history. Brett originally founded Spoonful Records as a micro-label in 2003, releasing 12 LPs/EPs through 2008. He intended to keep it as a side-project in addition to his full-time job as a graphic designer. Then, the economy took a dive and consequently, Brett was laid off. 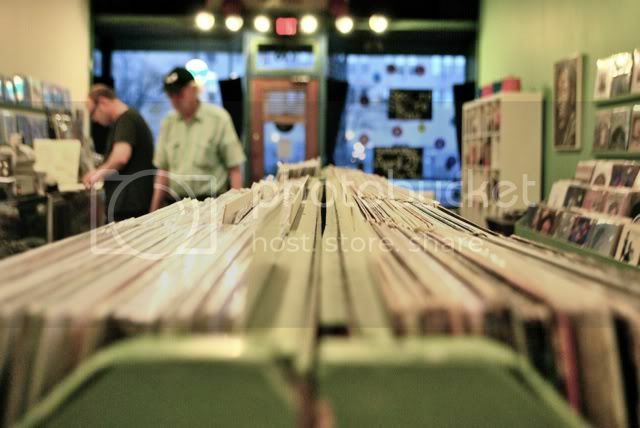 He seized the opportunity of unemployment to pursue his dream of owning a record store. 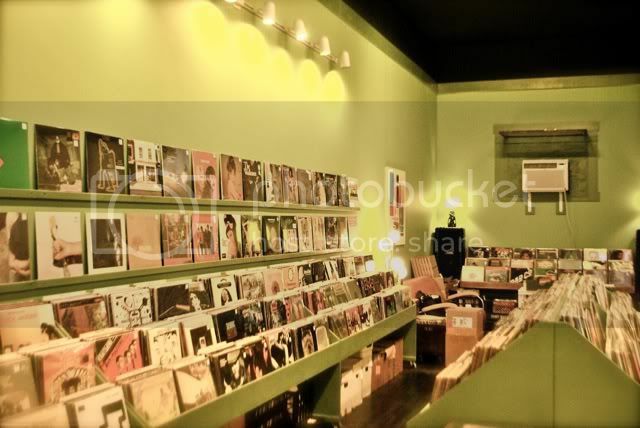 ”We really wanted to create a record store that girls would feel comfortable in,” said Brett. Kate and I smiled appreciatively, and knowingly. 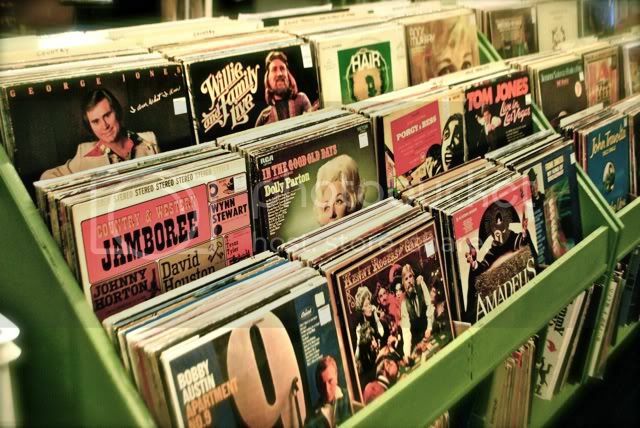 I tend to avoid record shops at peak hours due to the fact that I end up being the only woman in the crowded store. More often than not, we vinyl-lovin’-ladies end up blocked into a dark, musty corner by an overenthusiastic male customer. 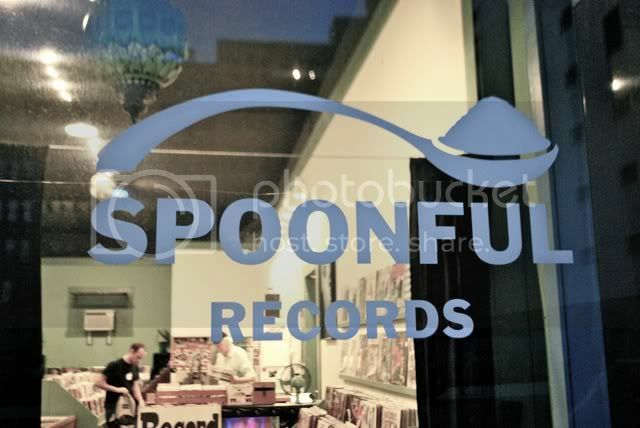 Everything about Spoonful Records beckons you to stay and just hang out. The first thing struck me when I took my first look around was how immaculate and organized the space is kept. Display tables are painted a lovely shade of grass green and complimented by pastel walls. It’s bright and friendly, no corner goes unlit. 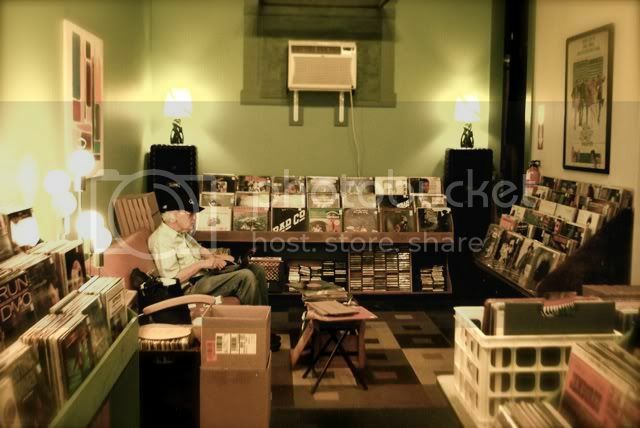 And, unlike many other record stores I’ve been to, the air doesn’t smell like my grandparents’ basement. Colorful paintings of some of music’s finest stars adorn the walls. 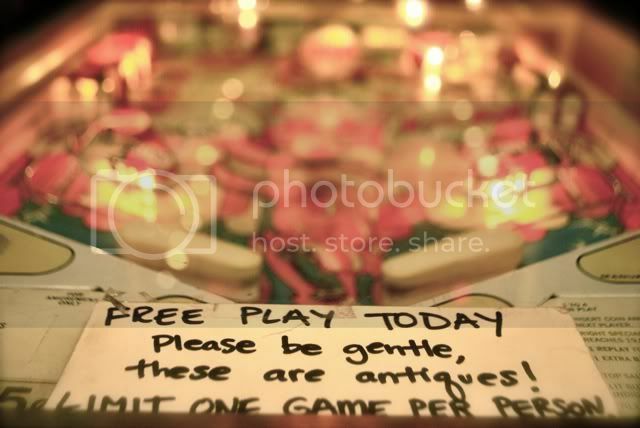 You’re invited to play the antique pinball machines for free. There is even a seating area at the front of the store where you can sit and leaf through Spoonful’s impeccably curated selection of books, magazines, and more. "Yes!" Brett replied with a smile, "I am obsessed with this album!" 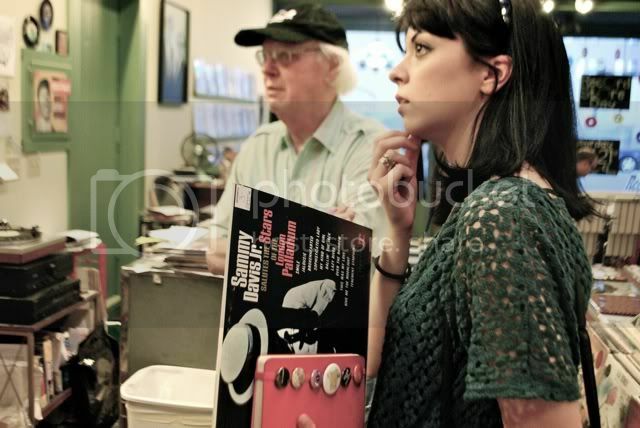 Before we knew it, Kate and I had lost track of time chatting about the music scene, rare vinyl finds, and some of our favorite new releases with Brett and his father. I left the store with a smile, excited to spin the new records I purchased, including Tennis’ album, ‘Young & Old’.